The trip from Auckland to Nelson was in a small turboprop plane and lasted about 1 1/4 hours. 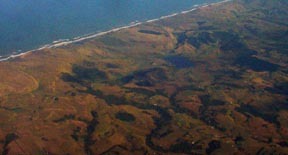 After takeoff, the plane headed southwest, passing over flat farmland given to truck crops and hay, and then approached the coastline of the Tasman Sea. This section had a rougher topography just behind the shoreline, and appeared to be quite dune-like, covered with brownish grass. The surf looked great for the folks with surf boards. 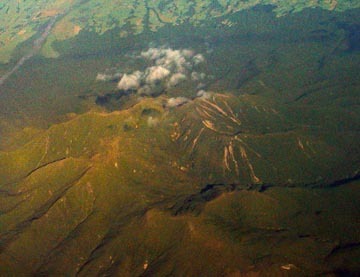 The plane's track then crossed the projecting Taranaki peninsula of the southern part of the North Island, and flew over the dominant feature of Mt. Taranaki, an extinct volcano that rises more than 2500 meters. As you can see, it has a quite symmetrical cone, with a visible crater. Leaving Mt. Taranaki behind the track moved out across South Taranaki Bight of the Tasman Sea, heading for Nelson. The water here appeared extremely rough, and I had the sense that there was a wind from the west really pushing against a west-heading current. As we approached Nelson, it was possible to make out the outline of Farewell Spit, a hook-shaped shallow sand bar that stretches east from Cape Farewell. 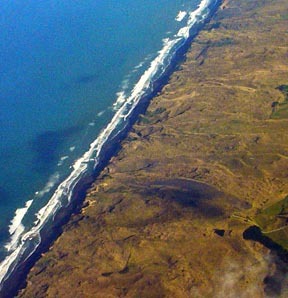 This long sliver of sand is a mecca for bird watchers, as it is populated in the New Zealand summer by huge numbers of wading birds and shore birds that have migrated south from the Arctic. It also is a regular site of whale strandings--particularly Pilot Whales and Sperm Whales. The landing at Nelson was smooth, and in a short while I had possession of my rental car, and was pulling out of an airport that was much less busy than Kennedy! The hills abutting the airport are clearly in management for timber production, and are patchworks of clear-cut, juvenile, and mature timber stands. 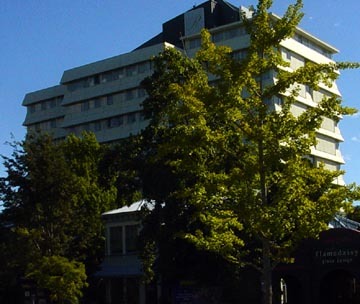 Just across the street from the hotel is a steep hill that is planted to legions of flowers, and many specimens of large trees, including hoop pines, cabbage palms, and a good sized California Redwood. 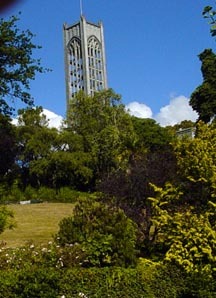 The hill is capped by a cathedral with a bell tower holding a chime. 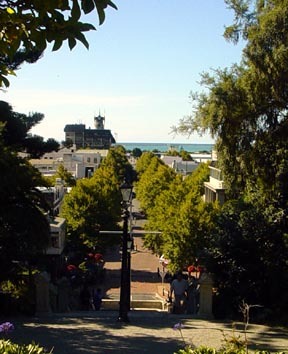 The view from the cathedral looks out over the town of Nelson to the Tasman Bay.  It is quite nice. With plenty of time to look around, I drove east of the city to the base of a remarkable formation known as "Boulder Bank." This bank of huge rounded cobbles stretches for several miles, and encloses a large, very sheltered and shallow bay, that was the reason the town of Nelson is located where it is. The process of the formation of the boulder bank is not clear to me. 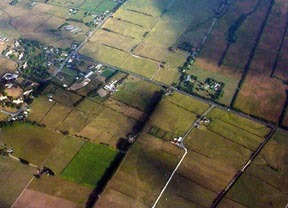 It is not a man-made structure, and its origins is discussed in some Maori legends. The access to the bank is close to its eastern end, and the three pictures below show it from looking west, then to the north, to the east. The distant hills in the center picture lie in the Abel Tasman Park. Back in Nelson, I visited an open air Saturday market, which was quite festive, with lots of really nice vegetables and fruits, along with some quality craft items, and many other things. I bought a bag of Biltong (dried beef) for lunch, and had a nice chat with a gent selling old hand tools. I almost bought a very nice Disston boxwood mortise gage, but decided it would be foolish to lug it back halfway around the world! Finally, the day ended with a trip to the local historical museum, which turned out to be very informative and interesting with lots of information about the farming, mining, and manufacturing history of Nelson and the surrounding region. After a good meal of New Zealand Green Lip Mussels, and some fish and chips, I expect to get a good night's sleep before moving on to Kaikoura in the morning.